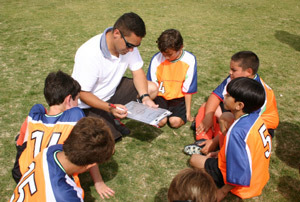 Youth coaches volunteer their time to teach life lessons through sports. Most are former players, some from the high school or even college level. It’s an honorable sacrifice and we should all remember that before we criticize. 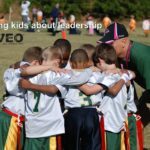 My experience as a youth sports coach has allowed me to observe many coaches conducting practices, games, post-game speeches and clinics. I’ve coached everything from 3-year-old developmental leagues to junior high sports. I’ve coached in Washington, Alabama, Georgia, Michigan and four different counties in Ohio. Unfortunately, I’ve watched many practices and games where athletes did not improve due to ineffective and potentially damaging coaching. Below is a short list of common teaching mistakes made by youth coaches. Having young athletes stand around while the coach incessantly talks kills motivation and creates boredom. Remember that most of them have been in a classroom all day before practice. If you spend time lecturing, how interested do you really think they’ll be? Then, the coach turns around and chews the young athlete out for making a mistake that was talked about during practice. Really, coach? There are more effective and efficient ways to run a practice. Break the team into groups. Use your assistant coaches or parent volunteers to run drills. Limit groups of young athletes to three or less. This provides more repetitions for each player, and therefore supports progress. At younger ages, the importance of repetition cannot be overstated. Stop talking, coach. Let the kids practice! How many times have you heard the following statement: “That’s the way we did it when I was playing, so that’s how I’ll do it”? Likely, that coach played around 20 years ago, maybe more. Another common one: “It was good enough for my coaches so it’s good enough for me.” Even if you don’t hear those exact statements, it’s clear that many coaches operate under these ideals. One common thread among all tenured and successful coaches is this: They change with the times. While your junior high basketball coach made you run suicides at the end of practice, it has since been proven that using that conditioning method prevents athletes from working their hardest during practice; they unconsciously save their energy for the end of practice. 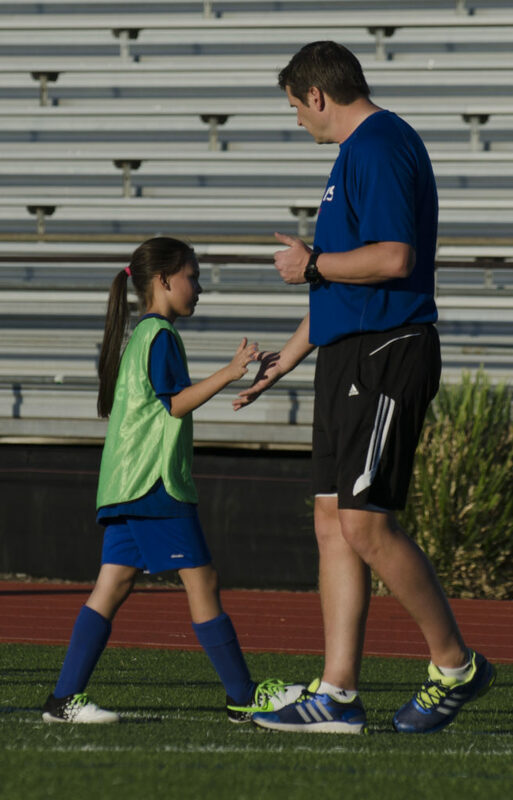 Mindless coaching is doing everything the way you experienced it as a kid. Coaches that truly care about their effectiveness as a coach put effort into learning new ways to motivate, excite and truly reach their players. There are plenty of resources out there. Get after it, coach! When I see a tee ball coach physically manipulating a 5-year-old’s back elbow higher than the rear shoulder, it makes me twitch. There have been many biomechanical advancements recently, as well as technological advancements which afford us the opportunity to slow down the swing and examine it. We’ve found that a level swing is not optimal for contact or power. The back elbow raised creates a back-shoulder dip in younger athletes since their muscles aren’t yet fully developed. Coaches, get up to speed on current scientific advancements in the sport you coach. Even though you are probably a volunteer, you owe it to your players to provide the best experience possible. This includes teaching the sport the right way. Coaches, please remember that you might be the adult that young athletes will remember forever. Youth coaches can have an amazing impact on the lives of young athletes. You more than likely remember your little league baseball coach or your first football coach, right? You’re an important part of these young athletes’ lives. Take just a little time each week to surf coaching blogs and podcasts, attend coaching clinics, read books written by prominent coaches and chase YouTube for drills. Saying, “I only coach in a youth league, I don’t need to do all of that” is inexcusable. Young athletes truly are that important.